Twenty years ago, the Wheaton Alumni magazine began a series of articles in which Wheaton faculty told about their thinking, their research, or their favorite books and people. Professor of English and Dean of Humanities and Theological Studies Jill Pelaez Baumgaertner was featured in the Spring 1994 issue. In 1980, after many years of “sanctified cool,” balancing tenuously the professional requirements of my degree program with my faith interests and questions, I found myself teaching at Wheaton in an environment that actually required me to make the connections between faith and learning which had been considered irrelevant in graduate school. Much to my surprise, in those early years at Wheaton, I discovered that in spite of my hard work at attempting to bring these portions of my life and thought together, Athens and Jerusalem did not unite spontaneously. The result was often a defensive posture about the spiritual integrity of my individual discipline. I taught at Wheaton ten years before I began to integrate faith and learning in a way which was neither reductionistic nor so abstract as finally not to be integration at all. My eyes were opened in a seminar funded by the National Endowment for the Humanities at the University of Chicago. The professor leading the seminar, a Jewish man attracted to the writings of Luther, was the first person outside of the Wheaton community to challenge me to take my doctrinal beliefs seriously enough to allow them to direct my literary questions. What was different about his approach? What I learned from him was that true integration might seem on the surface to be merely the integration of beliefs with biblical, doctrinal, and literary texts, but it is also, for the Christian scholar, a slippery and dislocating spiritual experience, leading often to questions that propositional language cannot answer. Only when I began to study the complex network of relationships between and within the academic disciplines and the arts did I discover the way to begin to combine my thinking and my believing. To put it simply, the integration of faith and learning is, finally, a profoundly interdisciplinary task. College professors are primarily specialists; few are trained across disciplines. Thus I began to understand my earlier frustrations as symptoms of a problem that plagues the entire academic world, not just Wheaton. We have all been locked into our narrow areas, and we have been living under the illusion that these small spaces are complete microcosms. The fact is that the imagination of the scholar has not been exercised in a wide enough arena. Many of us who attended college as English majors in the 1960s have spent our literary lives trying to crawl out of the hole into which we were pushed– the hole that separated literary texts from historical, psychological, biographical, political, and theological contexts. Now that I have been freed, I am also wary of being sold into the slavery of current thinking that obliterates texts entirely. But that is another essay and material for future conversation. My current interests put me in the general vicinity of, if not entirely within, the group of scholars called the New Historicists, primarily literary scholars who have rediscovered history and who are redefining the discipline of English studies. The New Historicists view literature as an arena for the play of political power, and their task is to reconstruct and rediscover the political subtexts of classic literary works and introduce other cultural artifacts as competing texts. I will never be a true New Historicist because I believe that imaginative literature has a special place in the humanities. I believe, for example, that poetry contains truth in a way that philosophy or history or theology cannot. But I must admit that the exposure to the methods and approaches of New Historicism has changed my teaching. My Renaissance literature class, for example, now contains, in addition to poetry, stories, and plays by Spenser, More, Shakespeare, Sydney, Wyatt, and Kyd, readings from Luther’s letters and essays, Margaret More Roper’s letters and translations of Erasmus, Elizabeth I’s speeches, selections from Calvin’s Institutes, and a treatise on education written by Ascham. I am now much more concerned about teaching literature in the context of the cultures that created it. I believe that this is the future direction of literary studies. Jill Baumgaertner received a bachelor’s degree from Emory in 1968, a master’s from Drake in 1969, and a doctorate from Emory in 1980. She previously taught at Valparaiso University and joined the Wheaton faculty in 1980. She is the author of Finding Cuba (Chimney Hill Press, 2001), a collection of poems that explores her Cuban ancestry, and three poetry chapbooks:Leaving Eden (White Eagle Coffee Store Press, 1995), Namings (Franciscan University Press, 1999), and My Father’s Bones (Finishing Line Press, 2006). 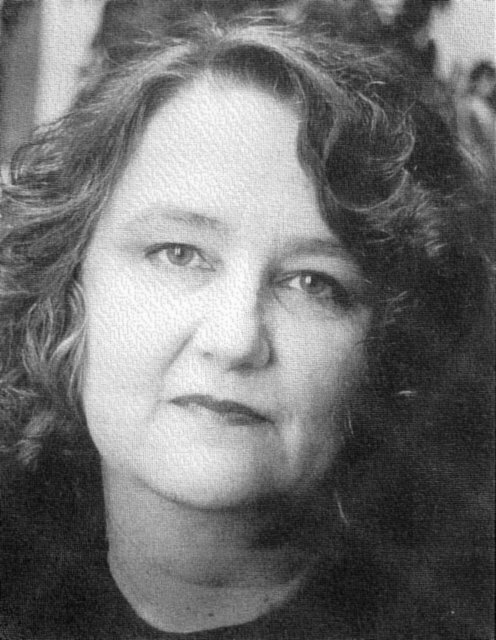 She has also written a textbook/anthology, Poetry (Harcourt Brace, 1990); and Flannery O’Connor: A Proper Scaring (Cornerstone Press, 1998). She was a Fulbright fellow to Spain, was nominated for a Pushcart Prize and is the winner of the White Eagle Coffee Store Press’s poetry chapbook contest, the Goodman Award in Poetry, an Illinois Arts Council Award, the Illinois Prize of the Rock River Poetry Contest, and the CCL Midwest Poetry Contest. She serves as poetry editor of The Christian Century and is past president of the Conference on Christianity and Literature.